Joe Camp showed us the heart and soul of a dog when he created the canine superstar Benji. 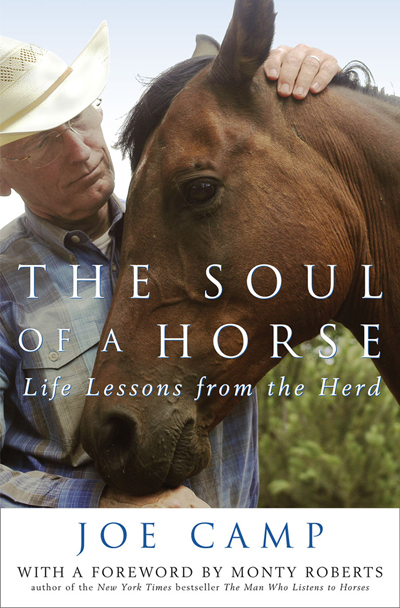 And he lured us into the soul of a horse in his engaging, emotional, and often humorous best seller The Soul of a Horse: Life Lessons from the Herd, now in its 11th printing, a book that set traditional thinking about horses on its ear while changing the lives of horses and people all across the planet. 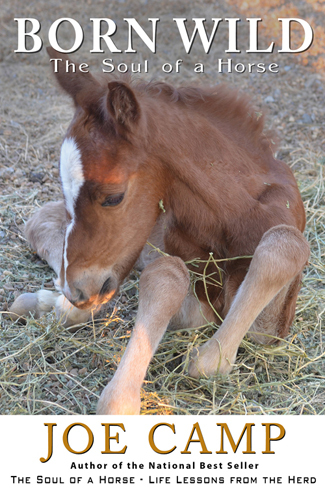 Camp now deftly lures us back into the heart and soul of a horse in his new and powerful Horses & Stress – Eliminating the Root Cause of Most Health, Hoof and Behavior Problems. “This is an unsolicited review for an outstanding book. 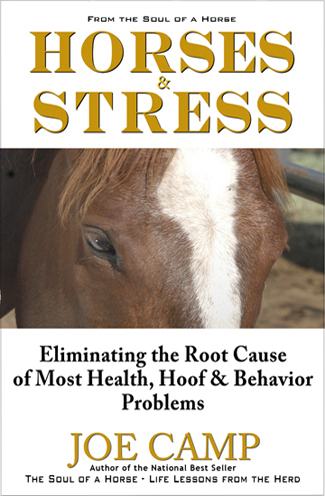 And I have to admit, I think this small, simple little book, Horses & Stress – Eliminating the Root Cause of Most Health, Hoof and Behavior Problems, is one of my all time favorites. Joe never intended to write a book, never mind eleven. He and Kathleen were just trying to figure out how to keep and care for a small group of horses that had somehow landed quite unexpectedly in their front yard. They were two complete neophytes who, a few short months before, didn’t have a horse or a clue. So they were asking a lot of questions, and getting a lot of answers that didn’t seem to make any sense. After stumbling through mistake after mistake, digging through an enormous amount of research, and spending a great deal of time with their little herd they discovered that either they were stark raving nuts or there was something very wrong in this world of horses. That’s where The Soul of a Horse began. Thankfully for thousands of happier healthier horses across the planet it turned out that they weren’t nuts. At least not in the clinical sense. And it was too late for them to turn back. List the names for each inscription in the “Special Notes” field, just beneath the credit card input as you check out! Follow our latest journey with two amazing new arrivals from the wild. Kathleen’s terrific photos are worth the click.